For some reason this does not work. 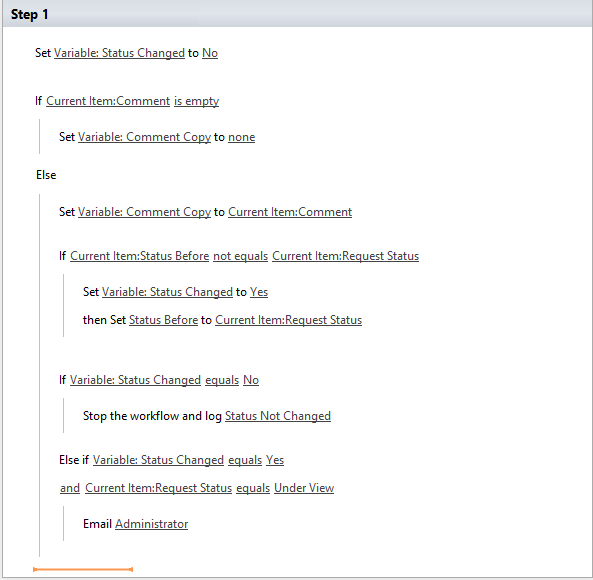 Based on your workflow screenshot, these actions are run when the Comment is not empty. Please check whether the Comment is empty when editing the item. if it is empty, these action will not be run. 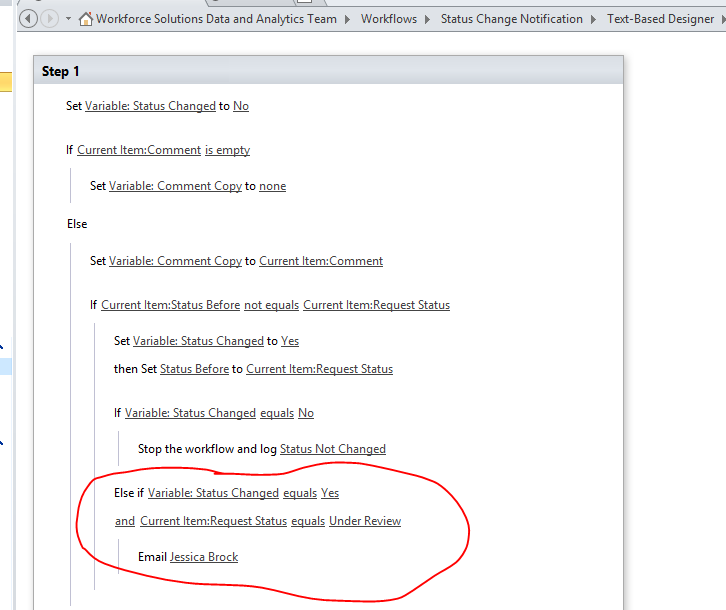 And you should put the "if Status Changed equals No" condition and "if Status Changed equals Yes" condition outside the condition "if current item:Status Before not equals current item:Request Status". 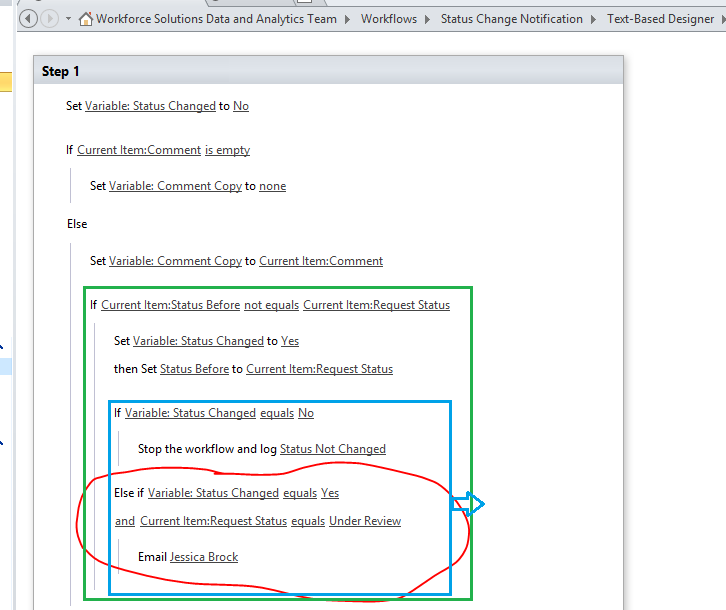 In your workflow, you set the Status Changed to Yes and then check whether Status Changed is Yes or not. The "if Status Changed equals Yes or No" is useless as it is set to "Yes" in the above action. 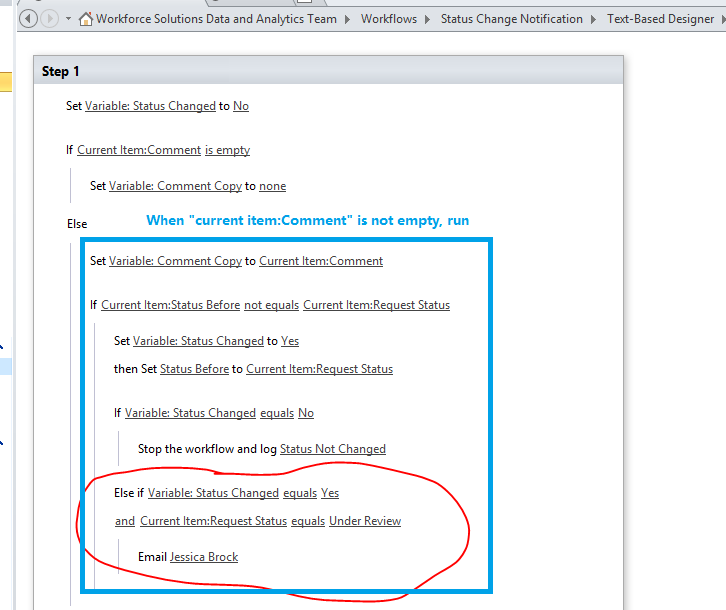 if you want to check the Status changed when the Comment is not empty, move up check status actions under "set variable:Comment Copy to current Item:Comment" action. By the way, you can use "log to History List" to debug the workflow. And Note that, if you are using a System Account, the workflow will not function properly or won’t start automatically. Not the answer you're looking for? 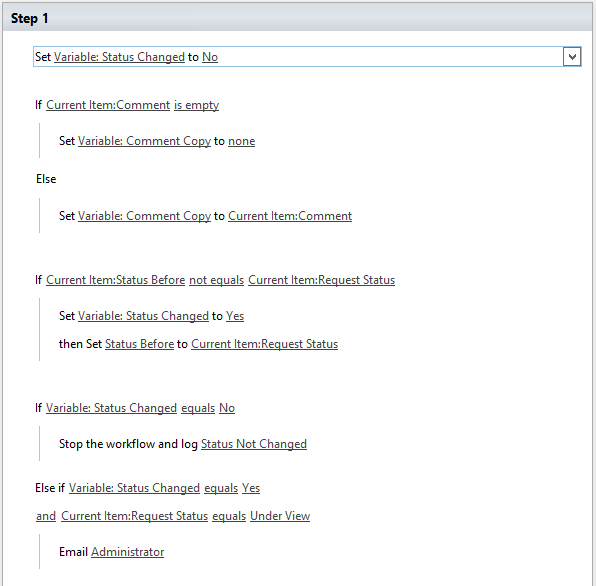 Browse other questions tagged 2010 sharepoint-server workflow or ask your own question.